Going to the Prides Corner Drive-In is like stepping back in time. From the old speaker poles (now only used to line up cars, as the sound comes through your radio on an FM channel) to the 1950s snack bar, every element evokes a bit of history, a time when going to the drive-in was one of the most popular ways to spend a warm summer evening. 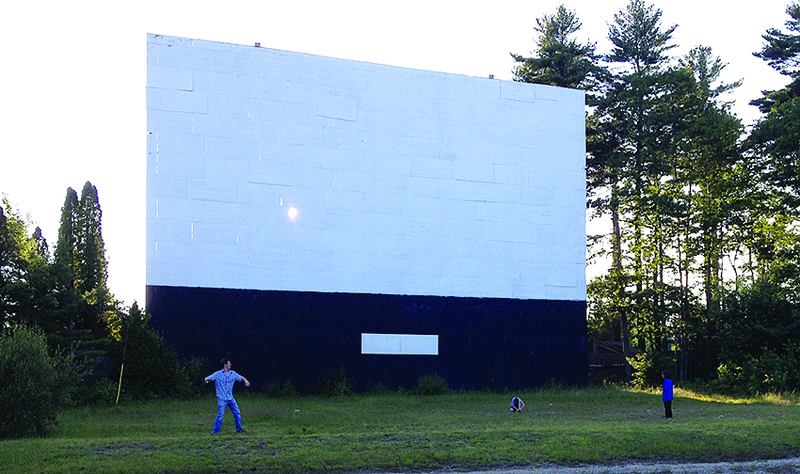 Drive-ins are not nearly as prevalent as they were in the past. According to drive-ins.com, the number of drive-in theaters peaked in the 1950s with close to 4,000 locations. Today, there are only about 300 remaining in the United States, according to the website. Prides Corner owner/manager Andrew Tevanian said that when his father opened the Prides Corner location with his uncles in 1953, it was a common endeavor. “Every town had a drive-in theater. It was the way of the land,” he said. Tevanian is passionate about the topic, and said there are many things that make the drive-in a unique experience worth preserving. “It’s the type of venue that lets you explore a little bit,” he said. This might include tossing a Frisbee, spending time with the family, immersing yourself in the whole drive-in experience. With the passing of time, and advances in technology, drive-in theaters are under increasing pressure to upgrade to digital projectors. There may come a time in the near future when new films are only available in digital format, and theaters without a digital projector will not be able to show new movies. The cost of a digital projector is $70,000 and the building must also be upgraded and weatherproofed to protect the new, sensitive equipment, which Tevanian said will run at least another $20,000. There is no clear time frame for when studios will stop producing the 35 mm films. “It’s day to day. They are still making 35 mm for those who didn’t have the funds to make the conversion,” said Tevanian. “It’s always in the back of your mind,” he added.